Barcelona play their final match of the Liga season. More than the result the match is noteworthy for being Pep’s last La Liga match as manager. Enjoy the way this brilliant side play. It’s been a treasure to be able to see them grow under Pep. Previous Post And now, the end is here. Next Post Drumroll, please …. I KNEW I would come here to see things like “sell Alves!” and that type of idiocy (imo). What is it with cules? Do some of us have short term memories? lots of online cules are ungrateful as well..
BTW, VV WON his fifth Zamora..so whoever said he didnt was wrong. I enjoyed the first half so much. The second half was a disaster especially after Dani’s sending off (very dumb btw). The offside trap was horrible..Pique has gotten slower by the day it seems, Masche has a magnificent match up until those two goals which he and Pique are at fault for. Anyways, I really enjoyed Ibi, Monti (when he came on), Keita and Pedrito had a great first half.Xavi was great, Messi was a little subdues at times but had an okay match. Busi was dwelling on the ball quite alot and gave away a couple breakways but was very impressive all round in this match, in both defense and attack. And I may get tomatoes thrown at me but I am NOT convinced with Tello. He needs a lot more work. I wouldnt mind if he got sent off on loan for next season. His decision-making is poor, to say the least. And apart from the little side-step move and pace that he has, I dont see whatelse he offers JUST YET. He has potential but he needs to mature a bit more and come again. How do you know that VV has won? Saw it on the Liga BBVA website..and its all over twitter..the players congratulated him! That link didn’t work but it’s confirmed. OK – cool. It appears that the Zamora table and VV’s Wikipedia stats had been updated already – people work fast on the interwebs these days! I was adding 1 game and 2 goals ot get my equation, but they had already been added. I actually agree and disagree with you. Tello certainly isn’t ready for the football at this level but he has only been training with the first team for around 2 months. Next season on loan would hinder his progress massively in my opinion. But I dont get you, are you saying he’d be better off on the bench or barely making the match squad, getting games as a substitute here and there next season than going to another Liga team to develop? His desicion making would improve with regular playing, something I dont think he’ll get at Barca next season. He isnt even officially promoted..yet. His decision making would improve by consistently training with the best players in the world, not playing with the likes of Sporting Gijon, or Deportivo. In reality, he wouldn’t start week in week out for any of the top teams so training with us would serve him best IMO. Look at Iniesta, he could have been loaned out when he was that age but he/the club decided to stay and be patient. Our system is so different to every other club that no experience on loan prepares you for our first team. In contrast, Cuenca is closer to our decision making and one touch play but he isn’t nearly aggressive enough and doesn’t have killer instinct in front of goal. I believe that fighting weekly with underdogs in the league might toughen him up. Both have a lot to do to be at our level but it doesn’t have to happen instantly. Sorry but training and playing are two totally different things. We all thought the same with Bojan, that didnt work out, did it? Tello wouldn’t start week in, week out, but he’d start much more than he would if he stayed with us and learn other value things that can’t be learned in just training. A loan doesnt mean the end of the world for players…he’d come right back..it served Cuenca well. And on the contrary, Iniesta is a totally different player than Tello. Iniesta’s chances were limited by superstars in the first team at that time, especially in midfield yet when he did get the chance we saw his play was beyond his years even back then. And, I don’t see any more aggression with Tello than Cuenca. Cuenca may not be as fast but he offers so much more (technique, passing ability) and most importantly: quick-thinking, crucial decision-making. THAT is what is important in our system. Ask Pep..or should I say ask Tito now. Tello is good for the thrill when he happens to burst past the first defender with his little shuffle and pace but then what? Usually nothing of substance..
Dont get me wrong, he is talented and could be the next big thing but I dont think he’s ready to be apart of the first team yet..he’s not at that level yet. Either he should go back to the B team or go on loan. I think I’ll have to agree w/Kimcelona. I do think your point is valid. Training w/the best players in the world cannot be replaced, however, playing games is totally different to training. The pace, atmosphere, different tactics, etc., would all make Tello a better player then training would. He needs to get the jitters out of his system. I think confidence and nervousness factor into his indecisiveness. If he goes on loan there’s less pressure to perform at the top class FCB require. I think the DNA is already in him. He knows our philosphy. It’s been taught to him from the time he’s been here. He needs games and needs them in bundles to be the finished product. Huh? I only found one person suggesting selling Alves. The rest of us are just evaluating his performance in this match and for the entire season. I just read through the comments again..You’re right its only about 2 people but its still suggested, thus my point remains. He had a decent season to me. His performance in the last couple of matches cant be used to measure a whole season, considering we had already lost the liga. He’ll get a break during summer and be back to the best RB in the world next season, me thinks. I only had a suggestion as to what to do in the event that the club or he decides that he needs to move on. He has been very indisciplined this season. I’m not going to check if this season he got booked more but he certainly looked frustrated quite a bit and didn’t keep his cool on many occasions. It’s alright to feel Alves should stay. It’s also alright to suggest he move on. I have to put my sentiment aside and be objective about it. He’s provided us an amazing 4 years. He was instrumental in 08/09. Same with the following years, but this year his form as dropped off. Is it due to desire? I don’t think so. I think teams have adjusted their tactics to exploit his area. Messi has been left w/out space when he moves so far up and that creates less width and more stagnation. His tendency isn’t to continue downt he flanks or side, but to drift inside. I can’t count how many times I yelled at him this season to get past his marker. Instead, he brought it back to the middle or passed it back where no spaces was and created problems for our midfield. These days a team has to look objectively at a player and ask, “Has he provided everything he can?”, “Is it time to change tactics?”, “Where are our most glaring weaknesses?”, “Have we gotten the most out of him we can?”. I think the club has to be practical and take everything into account. If we still want our RB pushing high up the field to create pressure and chances, but leaving us exposed in the back and down the left side then he will stay. If Tito plans on changing that aspect of our attack to shore up the defense or w/someone who is more defensive minded, then he will go. Now is the time to get the best market value for him. His transfer could fund 1 of the top 10 players at their position in the world, or fund 2 or 3 very good players with the potential to be great. I say sell. Not because of his performances over the last few games, but because of what he provides as a way of a means to an end. We need to be less exposed defenisvely and we need to bring in players who will help provide that. I love Dani and am grateful for all he’s given to our club, but I want whats best for our club. Not for Dani. yup even barcastuff confirms VV won.. Yes, and that person is me. And this minute if someone offers me 35 mill or more for him i would sell him. His days are numbered, and not just cause of this game. Looks like he thinks he’s won the Zamora too! Oh…I just remember that Dani got suspended on the last game of last season, and he didn’t play against Villarreal in this season’s opening match. Now, he got suspended on the last game of this season. This is weird! That said, add me to the idiot pile. If a reasonable offer came in for Alves (35+) I’d sell and not look back. If you look at the last batch of matches with Adriano as the starter, the RB (when Montoya has played) has been a more conservative position. Euler and I were noting this after the last match, and wondering about a systems change in light of the persistent Jordi Alba rumors. Ramzi suggests that with an altering of the Busquets role, Alba and Alves could be dual swashbucklers. Could be interesting. But those familiar with me know my “three-year Brazilian” rule. Did Alves make me reconsider? A little. But his fourth year has NOT been up to his lofty standard, irrespective of the lies that statistics tell us. Sometimes, a club has to make risky moves for a potentially greater payoff. Opening up the left with Alba or his like also opens up the entire pitch, versus our now center/right-center orientation. And I think Montoya is ready. So if somebody came in with 35m for Alves, I’d take it, talk seriously about Thiago Silva or Javi Martinez, solidify an LB and call it a day, as I don’t think we need any additions in the attack. –Speaking of statistics, we scored the second-most goals from headers this season in the Liga. How ’bout that? My apologies “idiocy” is a little too strong of a word. Misguided is the word I will use from now on..
With that said, I definately think you’re misguided. So you’d just trade one attack-minded, probable liability full back for another? I dont get it.. If its a change in system that we’d crave..why not just change personnel to suit the system we so desire in the various matches next season? Say we buy Alba..we play Monti on the RB, when we want some conservativity (is this a word?) in the backline..and when we want more attack from the fullbacks we play both Dani and Alba or Dani and Adriano..I think Adriano can be conservative when asked. I am one of those however, who don’t want us to buy Alba..I’d much rather a LB/CB hybrid ala Abidal..maybe someone like Vertonghen. Or just a good, fast CB and a solid LB. And on your point of a so-called bad season for Dani, I disagree. He may not have been “best RB in the world” Dani but he was one of our better and most consistent performers this season compared to all those who had seasons to forget (which is quite alot this season), I dont care what stats say. One season not up to par with people’s expectations and we’d sell? Sorry thats completely harsh. So, would you sell Pique, Pedrito, Cesc, even Xavi (who had an off season)if someone came with the right amount? Not sure about Xavi’s off season. Apart from anything else, was this not his best goals tally ? It’s human to have preferences for some players over others. When I’m thinking about Barcelona, I’ll always put the club over a single player. I dislike some Barca players and love others but that can’t be the only thing to consider. It is too easy to blame a single player for a defeat or series of disappointments but it is also too easy defend a player just cause he is a Barca player. I used to love Fabio Rochemback, who most of you will hardly remember from his short stint with us. Basically, he was aggressive, in your face and had a rasping shot from distance. The only problem was that he wasn’t very good. Even though he was a player he liked, I was still happy when he went out on loan so we could bring in someone better. I do think our system needs to evolve somewhat. Defensively – in too many matches teams have exploited the space in behind Dani. Offensively, he has been on occasion wasteful but has also been vital to our attack. He could potentially be every bit as effective next season, but with better timing of his runs may be as much so but be better defensively. It’s reasonable to consider offers for all players on the squad. But just a point of clarification- teams haven’t really exploited the space behind Alves to significant extent. I just point this out as many people keep bringing this up. I think it may have been due to the Chelsea match leg 1 and that counter they scored on. But on the whole-that space hasn’t been particularly exploited compared to past rates of problems. The area where space was exploited several times was the left flank in the space Abidal should have been playing. That was the problem side for Barca. I’m not saying this means Alves should or shouldn’t be sold. I’m just commenting on this reason and not doing so related primarily to your comment but just because I’ve seen it in multiple places being mentioned. Funny that Messi, who loves drifting across from the right to the left doesn’t poach more goals at the near post on the left side. Someone like Alba (or even better, Bale) should solve that problem. I’m a strong believer that, against a parked bus, Barca must have a tall traditional centre forward to keep the opponents honest. Can Keita be converted into that role? Big, strong, good with his head. He could create a lot of confusion on crosses while the zippy little players around him do their work? Also has the flexibility to drop deeper if needed. Certainly at lot cheaper than spending 20 or 30 million on a top centre forward. Pardon me for asking but what exactly has Alves done to put him in people’s sell list? Not surprised we drew this one…oh well. I’d really like it if Barcelona bought Alba AND Javi Martinez. Martinez seems like a versatile player and his height would be beneficial to us. Imo, persistent rumors that have been circulating in the Spanish press and picked up by English reporters make some of us view Dani’s game and attitude differently. We kind of know that MD or certain Spanish papers have access to certain information leaked by the club. So using this logic, I think these rumors have some truth to it because the club wants to let this information out there just to test the water. Though he’s not the only under-performer this season, he’s one of the few who seems less attached to the club. Pique, for instance, has strong ties to this club. He’s a Catalan, a soci, and his grandpa is a club official, which make the selling Pique rumors more difficult to accept. Well, the grand total was 114 goals scored in the league, with 1 Barca goal in the recent Clasico. A quick look-over of that thread (http://www.barcelonafootballblog.com/13728/everyones-winner-aka-sounds-nice/) shows that no one guessed 114 goals. Four individuals guessed 113: pr17, lea_terzi, G60, and Messiah10. Based on the tiebreaker, lea_terzi should win, as she guessed that we’d score 2 in the Clasic, whereas pr17 guessed 4, G60 3, and Messiah10 3. So, provided I didn’t goof up while looking through that thread, I think lea_terzi will be announced as the winner. Compare to his first season. He was much more frustrating to watch getting silly yellow cards and constantly whining. dani..underperfomed? doesnt he have the most assists for the guy who scored the most goals in history? If we lose Dani, WE ARE DOOMED! LOL not really but he might be harder to replace than most people around here think. 1. Daniel Alves’s biggest asset, Season Fitness! Most people over look this but during our last four seasons Dani has appeared on average between 45-50 games per season in all competition. No other outfield player in our squad (apart from maybe Xavi and Messi) contribute this many appearances per season during the Pep Era. In comparison If we were to compare any RB in Europe, there are numerous players who have similar skill levels but there are very very few who can offer 45+ appereances per season and on top of that provide consistent performance. 2. Selling Dani forces us to make two signings to replace him. shared between atleast 2-3 players on average over the course of each season under Pep. This is a very big contrast between our left side and right side. If we were to Sell Alves we would need to sign a minimum of 2 players, one LB and one RB, simply promoting Montoya is nowhere near enough. Also If we are thinking of simply forking out 40 mil (from selling Dani) to sign Bale, we still have to take out more money from our budget to sign a RB that can atleast play 30+ games a season. So IMO selling Alves will not truly benefit us financially, unless we were to take a big risk and buy two cheaper alternative signings and hope that they will pay off on the field. While I’m inclined to agree with you for the most part ,I would propose some points that may be considered by the club. Sporting.Alves is not getting any younger. Despite what people say, imo he is not as energetic as 08/09. Tactically teams have targeted his side, exploiting the space behind. The challenges on Montero last night were very lazy. I believe if he stays he will need more help on the RW.The energy expended over the past seasons will have drained him mentally and physically. Financial. Alves has one of the biggest wage packets at the club and his wages would free up money to pay new players. I would this minute take 35mil if Anzhi offered.No question. Bring in Van der Wiel etc and rotate with Montoya. I regret that Barca did not sell Ronaldhino earlier. Motivational; I’m not sure Alves will respond to Tito like Pep. This is probably more a concern a mine for Tito though. Bottom line imo is the team needs refreshing. I was just going to bring up the Ronnie issue. The season before he started to get lazy he was worth nearly 100 mill euros, and some clubs were willing to pay it. Of course, we never assumed that after that glorious season he will start his downfall. And then, we barely got 20 something from Milan after a season long negotiations. Everybody was thinking like, damn, why we didn’t sell him last year. Somehow i don’t feel the same about players who are brought up from our youth and the rest which are bought (exc – Pique and Cesc). Dani got a job, performed well, and that’s it, time to move on. Think about what he used to do in Sevilla and why he was primarily bought. Crosses, shots, dribbles, and to a lesser extent, his defensive abilities. This season he made probably a total of 10 good crosses and maybe 2-3 good shots from outside as far as i remember. Nowhere near good as he was in the beginning and when he played with Sevilla. Defensively he has gone from average to poor over the seasons. Maybe he will come good again, but i have my strong doubts that he will. And now is a time to cash on him. Our team need some refreshment, and i don’t mind starting from him. Its easy just to say we can offload Alves and use the money to replace him, but which other RB in the world is capable of replacing Alves? There are not many, Van Der Weil has the potential but is he worth the risk? Alves is a key player in our squad, he is involved in almost every game, there is no doubt we will not benefit football wise if we sell him. As for a more conservative RB being an option, who knows, maybe after selling Alves and going for a more conservative RB might encourage our opponents to target our right side of defence more often because we won’t have that attacking threat and our opponents might feel a little more adventurous which we wouldn’t want. My argument is that we cannot benefit both football wise and financially in this situation, its either one or the other, because to fill the void Alves leaves behind we’d need to spend around the same amount of money we will get from selling him and we’d still need to buy another LB. How is that any different than just keeping Alves and buying a good LB? Doesn’t Tito have £80million to spend whether we sell Dani or not? No need to sell him then. Just buy Alba, Martinez & BALOTELLI! I hope you were kidding about Balotelli. From the comments above you did! Congrats!!! There were 4 peeps who guessed 113 goals. The tie breaker was the Clasico. You won since you guess 2 goals scored. I hate u! Just kidding, but I’ve never won ANYTHING! I missed the game unavoidably. Just downloading it now. Busi scored from a corner? Awesome. EPL is all kinds of fun today. I can’t keep up with my remote. We were lucky – we had a Multi-goal program where they switched games as goals were scored. Didn’t learn a lot new from the game, other than confirming what I think has been clear for a large part of the season. What follows is just my opinion – and, yes, it may be a bit harsh but I think it generally holds good. In defence, other than a little wobble from VV who has been generally great, we have suffered from three factors. The first was the experimentation with 3 at the back which unsettled everything. I’m sure people will point to good results achieved while using it but to me it was clear that this unsettled a previously decent defence. apart from that i’m not sure either Pique or Puyol are particularly good defenders in such a system given their lack of pace. This brings me to factor two which is Abidal. I was very critical of his performances earlier on in the season citing various errors. If I’d only known the real situation with his illness I’d have been full of admiration that he could even step on the pitch. Whatever, in a 3 man defence his pace would have been vital. The final element to me was the continued preference of Mascherano over Pique. No doubt Pique’s performances dipped around the middle of the season and Mascherano was rightly brought in. However, that brought it’s own problems imo which I have already gone over too often. Bottom line, if he wants to be a CB he needs to work on positioning and realise that you are usually better to stay on your feet. (Just have to look at last night’s game yet again.) To me, Pique and Puyol know each other’s games so well they are indispensable. However, that becomes less valid if Tito sticks with 3 at the back. In midfield I don’t think there was enough recognition ( by Pep?) of the value added of having both Xavi and Iniesta in midfield. I can’t begin to think why Pep thought Iniesta on the wing was an experiment worth persevering with. Anyone else in the midfield with Xavi and he ends up playing too deep. With Cesc now into his second season I think this will be one of Tito’s most important decisions. Up front, we suffered from the loss of Villa, both in terms of his instinct and his finishing and the loss of form for Pedro. For me, both of the new youngsters have a long way to go before being worthy of a place in a full Barca team. 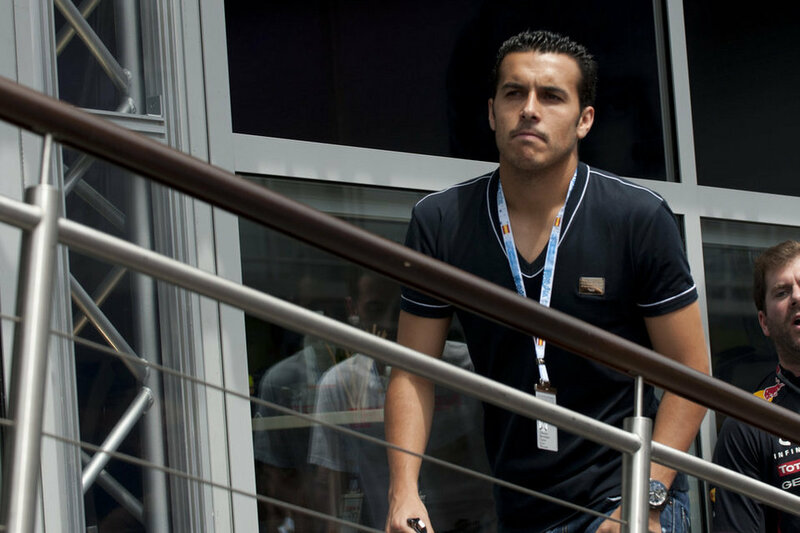 ( I have been impressed by Montoya at the back though.) Cuenca I don’t think will make it ( we need three forwards who can all score goals – Messi will get injured someday !) and Tello needs a bit more versatility and a sounder possession game. Pedro in recent games has for me come back to almost his best. The speed of his stepover last night was a thing to behold and with this confidence will come goals. What do we need? Depends who goes but I’d be looking for a better LB, a tall hopefully pacy CB (who could still afford to be a year away from prime time) and a goal scoring forward of some type – but not a tall target man. Sorry for the rant but although I love Pep and what he has done for the club i think he did make mistakes this season. Again, just my opinion. Will now pack trunk for the summer hols and try to keep my thoughts to myself. Btw, just watching the last 10 of the Man City game. Now they know how we feel against the bus ! Unbelievable. Within a minute of me hitting the submit button it was all turned around. What a finish ! interesting points. i hope Tito will realize that Xavi and Ini need to be together..
as the QPR game showed against a parked bus having a tall forward does not help much. this option looks more like a lottery. Oh.My.God. City vs. QPR game is amazing!!! Kun just scored the winnter. Ooof – couldn’t have asked for a better finish in EPL today! Those City fans went from joy to despair to desolation and back to pure ecstasy in the space of about 30 minutes. I thought that Mancini was going to have a heart attack! Best finish to a season EVER!!! Down to the last minute! Historic stuff! Well done City! Imagine to lose (or win) the title in this manner to your biggest rival! Incredible emotions on both sides. Wasn’t the most succesful season for us either, but how must the United fans feel now? And somehow I don’t even pity them, they’ve won enough PL titles lately with lots of luck. They lost both matches vs. Citeh, so it’s hard to feel bad for them. Must’ve been gut wrenching to finish a game as champions-in-waiting, only for 2 injury-time goals to change everything though. At least, United did not celebrate yet – as Schalke did some years ago, fans storming the pitch to celebrate because they thought the match of Bayern was already over! When I was having a drink at the 1st restaurant,the score was 1-0. I left at half-time to get take away food at a 2nd restaurant 1-1. Then I went to the 3rd restaurant to get food because the 2nd restaurant ran out of stock, 1-2. Then I raced home and it was 3-2. Man City went from being a champion to 2nd and then became a champion again in a space of 3 minutes in injury time. This match is crazier than the Liverpool AC Milan CL Final. This match reminds me of a season in Formula 1 where Massa thought he was going to be champion until someone, I think Hamilton overtook someone on the 2nd last corner and gathered enough points to overtake Massa. Crazy!! I wonder if the Man Utd players and fans were celebrating in the dying seconds on their match. Note: There are tv’s in some restaurants in Malaysia. No Man U and fans weren’t celebrating. They gathered in the middle of the pitch to wait for the City game to finish then, when the news came through, they walked around the pitch and applauded their fans. What are the odds that CR outscore Messi? The entire team is playing for him. I hope not! He doesn’t have a chance of matching Messi’s all competition goals scored, but it’d still be nice for Messi to grab the pichichi. it does not seem like that to me. in the end RM won with the team from the last season; all their transfers were not real additions. compared to us, we lost players … with one extra front man maybe things would stand differently now. still their more direct game brought them great results. maybe we tend to push teams way to much back and we end up with a more static game. Is the shirt that Pedro is wearing a Dolce & Gabbana? How many of you would want Caceres now? I think Alves should be sold. Montoya is ready. We will learn a lot about Alba this summer in the Euros. I have not be too impressed with him but if he starts for Spain it says a lot. Tello or Cuenca need to be sold. Bojan was better than both. Age lay and Keita need to be sold as well. To this day I do not understand why Barca let Aguero and Silva go without real consideration. Javier Martinez is a key buy. I am not sold on Adrian but Atletico need to sell. He is feisty and smart but totally one footed. Disagree on Bojan. Good finisher but thats it. Physically and mentally he was found wanting at the highest level. Part of the problem was his addition at such a young age and the expectations. He did not have the pace of Tello or the brain of Cuenca. Question: Does Alves red card means he is suspended for the Cup Final? I’m unsure about this. Commentators were saying that it rules him out of the next league game, not the Copa final. Uh oh, Falcao just scored…are Villarreal going to get relegated? Rayo stay up by a Tamudo gol ! Villarreal, Sporting and Racing out of La Liga BBVA. Nooooo, just when I’d put Borja Valero in my XI ! And, uh, yeah, they’re getting relegated too, boo! I still can’t believe Villarreal have been relegated! Sad about Sporting, I’ve always had a soft spot for them. You should see the ceremony going on at the Bernabeu right now – it’s like they won the World Cup or something! We had to turn it off…the sycophancy was too saccharine for our tastes! You’re right. Not even Spain with the WC had that kind of homage. But it’s a difference of culture I believe. They have always liked to throw more money down and being so arrogant. VV won by 0.03%! Another goal last night….. Kudos to Zaragoza and Rayo, though. They both fought back right up to the last second. The fans at Rayo invaded the pitch and it was pretty amazing to watch. maybe we should loan tello out to Villarreal. He can be their new Rossi and help get them back into the Primera. The yellow submarine just reduced to submarine. Don’t know why, just don’t feel so sorry about them. And while there, for no reason whatsoever i wouldn’t mind Borja Valero in our team. Just when I was enjoying celebrating city’s win, villarel has to go and bow out. Now getting relegated means there second team will get auto relegated no? For the fans of trends, Lotina has now seen Real Sociedad,Celta, Depor and now Villarreal go down under him in recent seasons. How does Lotina keep getting jobs with a record like that? He managed draws vs. us and EE – if only he could’ve made Villarreal show up for the rest of the games!